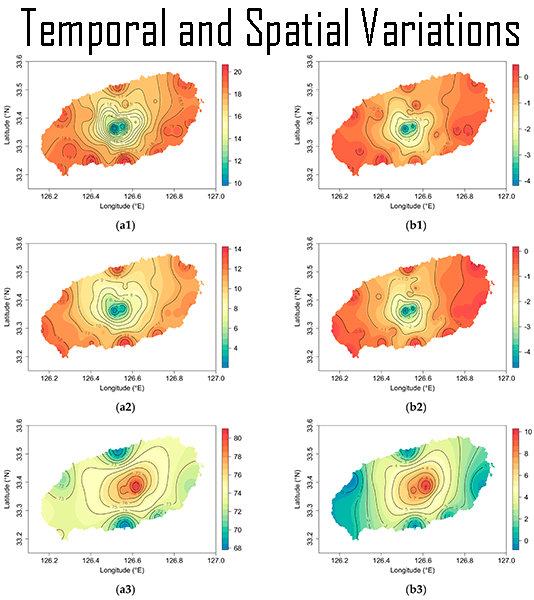 Light varies in intensity, (i.e., temporal and spatial variations) duration and quality (proportions of red, yellow, blue, etc.) These variations are important in plant ecology; however, the intensity and duration of light is more important since it difficult to interpret the effect of quality of light for practical reasons. 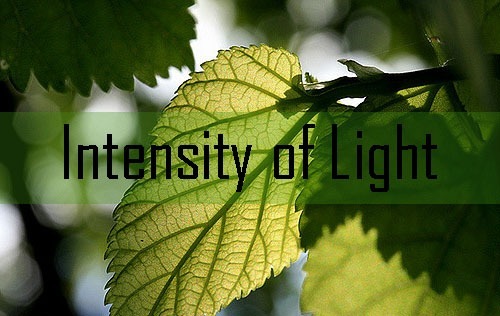 Light intensity is affected by spatial factors such as atmosphere, layers of water, suspended particles, layers of vegetation, topography and latitude. Atmosphere: Atmospheric mainly nitrogen and oxygen, absorb and disperse a portion of shorter wavelength of light as it passes through atmosphere. The higher the elevation of a surface above the sea level, the layer of air becomes thinner and intensity of light increases. Similarly, water vapors also screen the light, therefore intensity of light is much greater in humid climates and low in cloudy and foggy areas. Suspended Particles: Solid particles dispersed in the air (dust, smoke) or in water (clay, silt, plankton) screen light. Turbidity in streams affect the penetration of light. Similarly smoke cuts off about 90% of the light. Also smoke particles accumulate on photosynthetic surfaces and cut down light penetration to chloroplasts. Layers of Vegetation: Canopy reduces the penetration of light as the leaves reflect about 10% of the light reaching them. The reduction of light by canopy is very important ecologically because other factors such as wind, relative humidity, soil moisture and temperature vary with reduction in light intensity. Daylight prevails for about 12 hours out of every 24 in both summer and winter towards poles the length of the day becomes increasingly longer than 12 hours in summer and increasingly shorter than 12 hours in winter. illumination in micro-climates fluctuates hourly. Under a canopy of vegetation, the movement of leaves by the wind and changing angle of the sun result in wide variations in the amount of light energy received at a given point. Thus, the light intensity at leaf surface may rise abruptly for a few minutes and then drop. In aquatic ecosystems, the turbidity of water and effect of plankton affect the light penetration and its intensity.